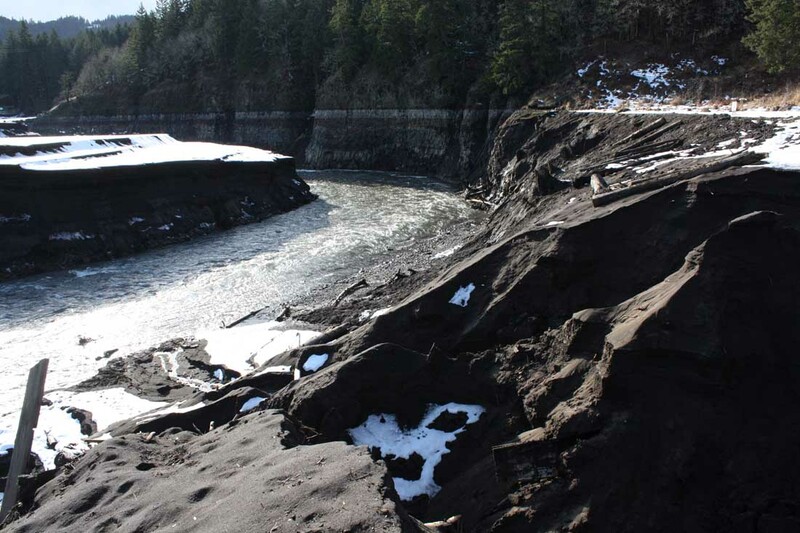 It has been almost four months since Condit Dam was intentionally breached by blasting a tunnel through its concrete base. As much has happened since then, here are some notes from the field. 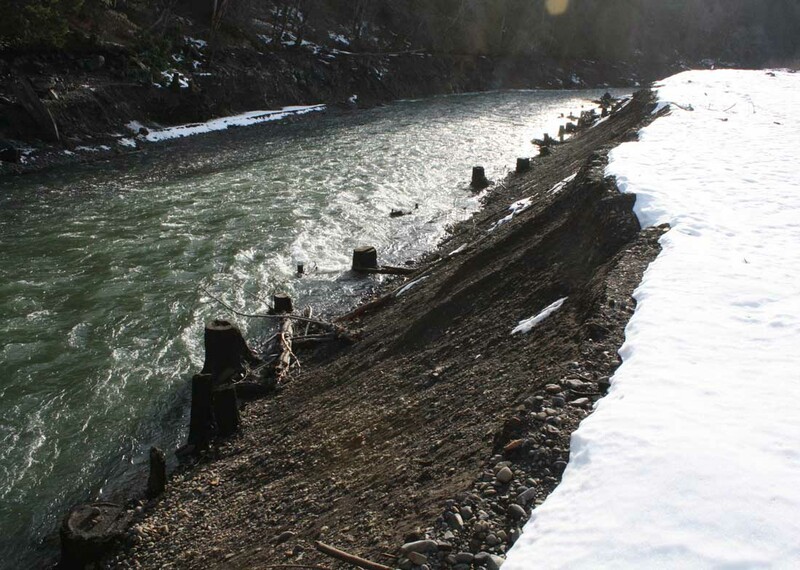 Meanwhile the former stash of sediments behind the dam continue to make their quasi-forecasted descent downstream. 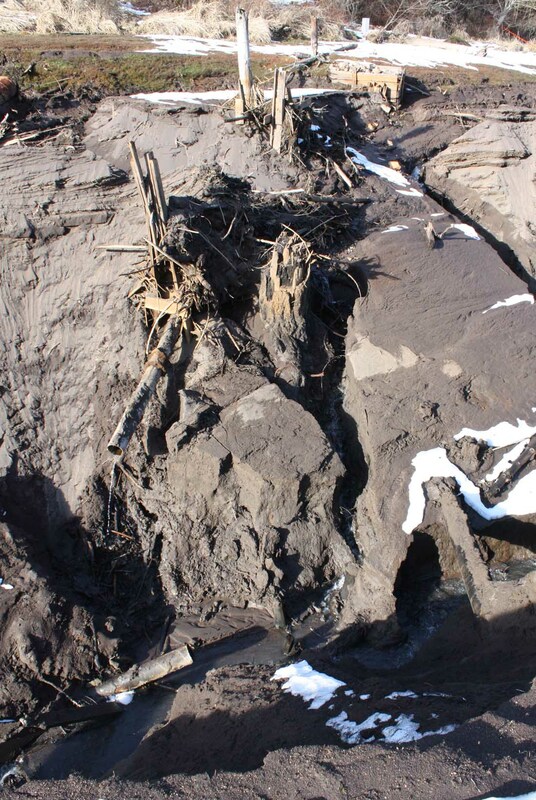 Massive heaps of courser sediment far above the dam remain, as predicted. Anachronistic cairns havesuddenly appeared in the riparian landscape: a forest of well-preserved tree stumps cut down a century ago. They look much the same as they did on the day they were cut. We had no idea they would still be there. These stumps provide an anthro-geologic guide to the terrain. If one cannot see them, they are yet to be unearthed from what remains of 1.8 million cubic meters of sediment still finding its way downstream, or not. What is happening on the White Salmon River comes across as a captivating mixture of predictive guesswork, the unknown, and unknown unknowns. These educated guesses and unknowns were in play as far back as the dam’s settlement agreement and the initial brainstorming sessions to engineer the flood event. As theory and plans went to action, the mess of the real was encountered. Take the blast event itself: although it was predicted that it would take about 6 hours for the reservoir to drain, it was empty in just over one. The designed deluge was more powerful than what was calculated (14,000 cubic feet per second). During the first hour of the event, over half of the River’s erosional work, accumulated over a century, was mobilized downstream all at once. Sediment concentrations below the dam were much higher than anticipated by the Sediment Assessment, Stability and Management Plan, one of the technical manuals assembled for this event. The former assemblage behind the dam is in motion and activated, begging the question of where will the masses of liberated particles congeal? Where and how will they be integrated and co-opted downstream? Just over three miles downstream of the now holey Condit Dam, the White Salmon River merges with the much larger Columbia River. 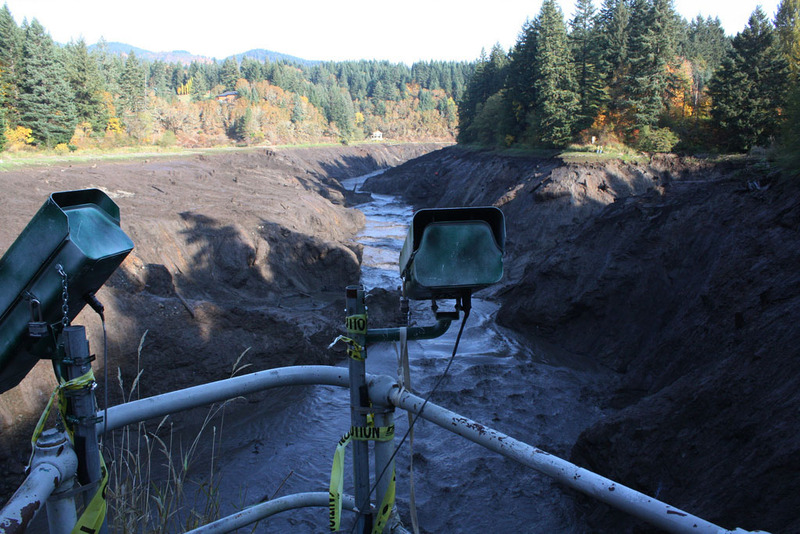 Here the gravitational onslaught of sediments has met with the slack water from the Bonneville Dam’s 48 mile long, 537,000 acre ft. capacity reservoir. Some of the sediments are forming a new migratory delta landscape. On the day of the breach, USGS scientists attempted to measure the discharge at the confluence with the Columbia. 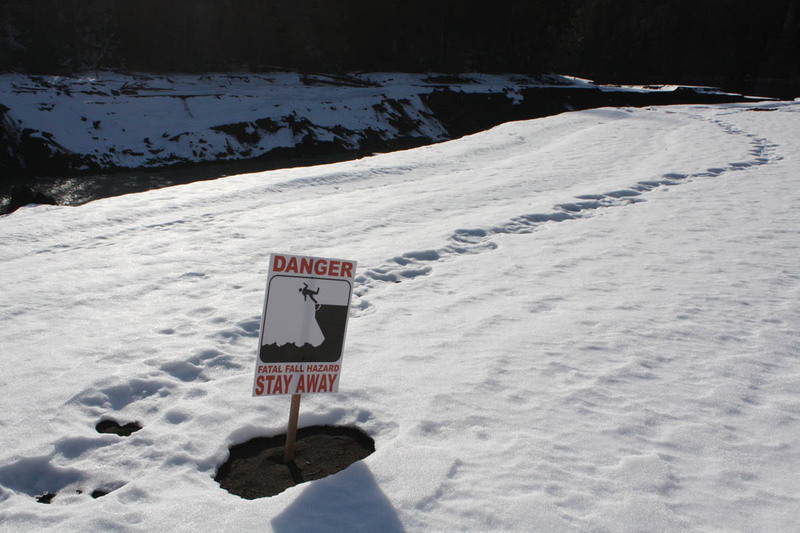 Their plan was abandoned when it was determined that surface water was actually flowing up the White Salmon River. This counter intuitive condition was due to “a powerful current flowing along the bed of the White Salmon River out into the Columbia River, consistent with a high bedload concentration and a density greater than that of clear water.” Seven days after the breach, buoys detected that the head of the sediment plume had arrived within the locks of the Bonneville Dam, reaching the limit of its journey and its new place of anthropogenic aggregation. It had jumped from one reservoir to another. Bonneville Dam, a federal dam managed by the Army Corp of Engineers, generates power to places as distant as southern California and is not going anywhere any time soon. I write of these events from being out there and from reading the 90-day Post-Breach Preliminary Sediment Behavior Report [i], produced by PacifiCorp as required by the Federal Energy Regulatory Commission. This report and others like it are their own breed of vanguard design literature, provisional field manuals for de-engineering large infrastructure and morphing that infrastructure into something that’s vastly different. Cameras shielded within metal housings were attached to the top of Condit Dam prior to its breach. These and other cameras are fixed within the surrounding landscape and trained onto various shifting terrains, like the drained reservoir and the dam itself. They are part of time-lapse documentation and various research projects that will provide meticulous archives of the processes of sediment dispersal and management, the complete erasure and burial of the dam, and the assisted succession of riparian and upland plant communities. Combined with new LiDAR flyovers, detailed in-the-field monitoring and the progress reports required by FERC, new data landscapes are being produced. A body of instrumental theory and techniques is in development. These in-situ works are providing new forms of experience and techniques for associating with the peculiar collectives we have inadvertently created. Would we have considered such courses of action plausible and generative decades ago when ecology and ecosystems were more based on cybernetic systems thinking – a model premised on balance, controllability and homeostasis? [ii] That model has been superseded by one where disturbance and entropy are accepted as stochastic norms brought about by humans, non-humans or both. A sense of control is still present, but in new and expanded forms. Here we are subject to the forces of water and the enigmatic behavior of huge repressed swarms of particles. There is a peculiar appeal to situations like this, landscapes that are being redrawn or thrust into an entirely different trajectory. It could be anything from a volcanic eruption to a twinkling New Urbanist development. It’s the effort of transformation itself – its process – that is intriguing. This brings to mind Bruno Latour’s critique of both “nature” and of the “social” as existing a priori, as taken-for-granted given substances of sorts. Rather, he contends, both are constantly being negotiated, remade or forcefully sustained by a shifting multitude of participants, human and non. And further, the distinction between these two collectives doesn’t hold up under scrutiny, as we can see in the former reservoir of Condit Dam. One of the most useful aspects of actor-network-theory (I think) is its investigative emphasis on change and transition. During such times, we get a better glimpse of what the social is composed of, its peculiar ‘web of associations’ [iii]. When situations drastically change or things quite functioning nature as given substance evaporates and we are better able to see the diverse and dynamic multitude arduously creating it. [ii] See Adam Curtis’ documentary “All Watched Over by Machines of Loving Grace”, Part II: “The Use and Abuse of Vegetational Concepts”, BBC 2011. Curtis provides an overview of the origin of the ecosystem concept and the various ways it had been deployed. [iii] In particular, as described in Bruno Latour’s various excursions compiled in Pandora’s Hope, and Stephen Graham’s Disrupted Cities. also i wonder how the existent of Bonneville was factored in. Did all sediment simply relocate to new reservoir, I assume some settled over length of river-bed from Condit to Bonneville? don’t you think Bonneville will even come down? I assume the same watershed restoration focused efforts that led to Condits removal would have it in their sights… I mean all dams have a effective age, right, mainly due to sediment buildup etc? Namhenderson: I attended a meeting with PacifiCorp earlier this month and they mentioned that sediment did not affect operations or traffic at Bonneville whatsoever. They also determined that the delta formed at the mouth of the White Salmon on the Columbia was not hindering barge traffic either. (Coast guard was the agency determining this). Bonneville is no where in sight of any pro-dam removal group. However, the four dams on the Snake river are. 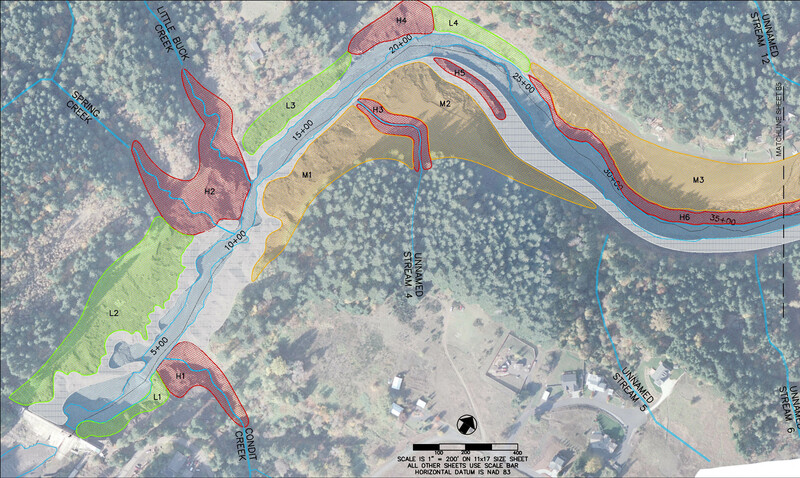 They are the last 4 dams blocking salmon from pristine spawning habit in massive areas of protected land in Idaho. The book “Recovering a Lost River” by Steven Hawley highlights this plight with great research and humor. Hey Nam. Yeah – I assume that sediment from Condit will be distributed unevenly all along the miles between the reservoir where it started and the upstream side of Bonneville. Bonneville is as far as the sediment can go without being anthropogenically moved again. Its an endpoint where sediment will accumulate over time. I don’t know exactly what Bonneville thought about the pulse of sediment entering the Columbia. They were probably not too concerned given (1) the sheer size of the Bonneville reservoir, (2) Bonneville is a run-of-the-river dam, meaning it does not have the capacity to store water (the reservoir could fill with sediment and the dam could still be functional) and (3) Bonneville actually agreed to lower the level of its reservoir at the time of the Condit blast to try to help sediment flush through the confluence with the White Salmon River and out into the Columbia. 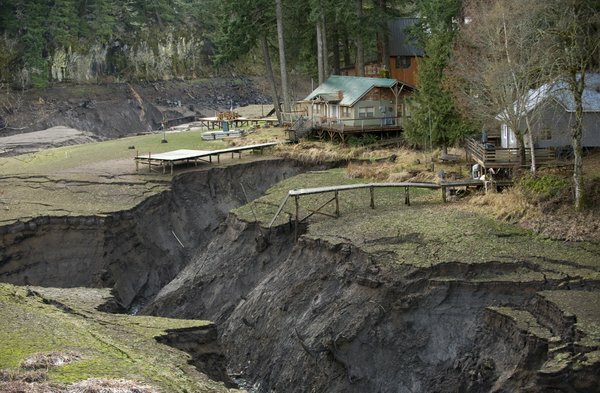 Dam’s like Condit, Glines Canyon and the Elwha are coming out because they are older and pretty obsolete by today’s standards, both in generative capacity and environmental effect. They don’t produce enough power to be worth upgrading. I don’t think Bonneville is going to be torn down anytime soon. It produces far too much energy and it’s registered as a National Historic Landmark. Rather it will continue along the other trajectory of large dam infrastructure – towards deepening investments in retrofitting and further hybridization, like the Round Butte dam.